A Complete Nutritional Meal Your Cat Will Love! 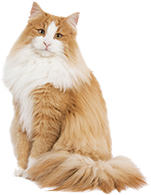 AristoCats Cat Food is manufactured using the freshest raw materials direct from the ocean. Jelly that is included are produced with our unique recipes that all cats, even the fussy ones are tempted.